One among many Kytinn, a swarm of sentient insects who share a hive mind. 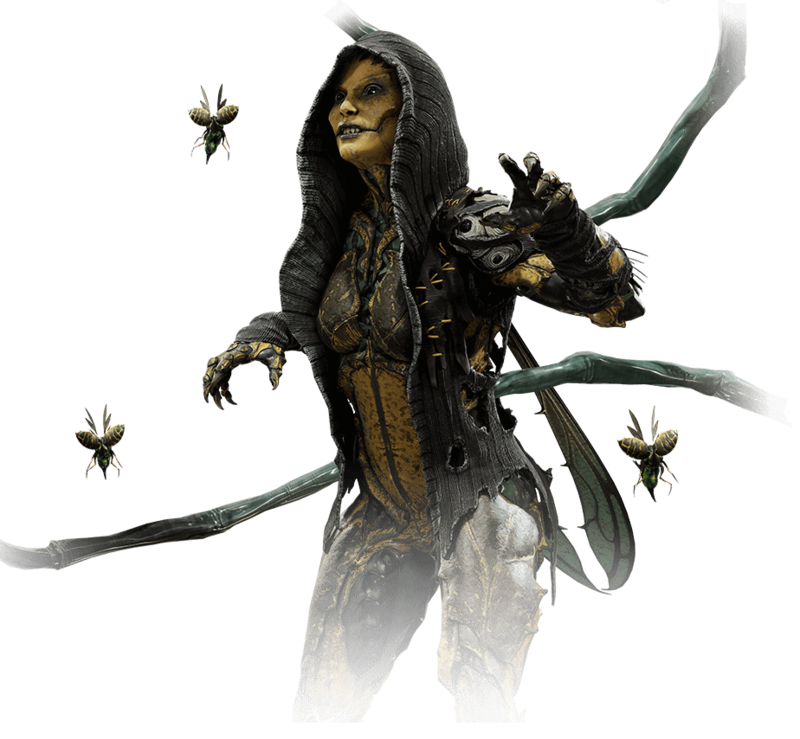 D'vorah has served Shao Kahn, Kotal Kahn, and Shinnok, but her true allegiance is to the swarm. She lies, cheats, and backstabs so that when everyone else has died, the Kytinn hive will survive.